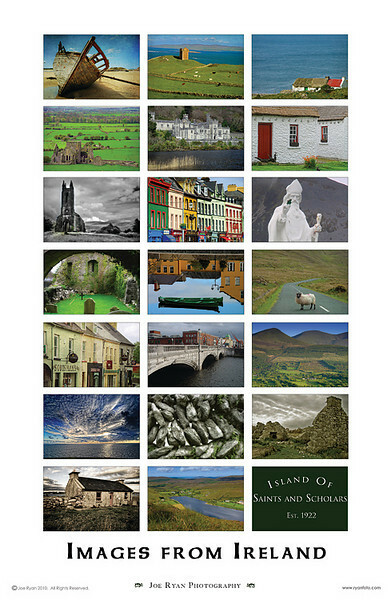 Images from Ireland poster. 11"x17"
CLICK HERE TO ORDER THROUGH PAYPAL. 20 scenic images from across Ireland by photographer, Joe Ryan.